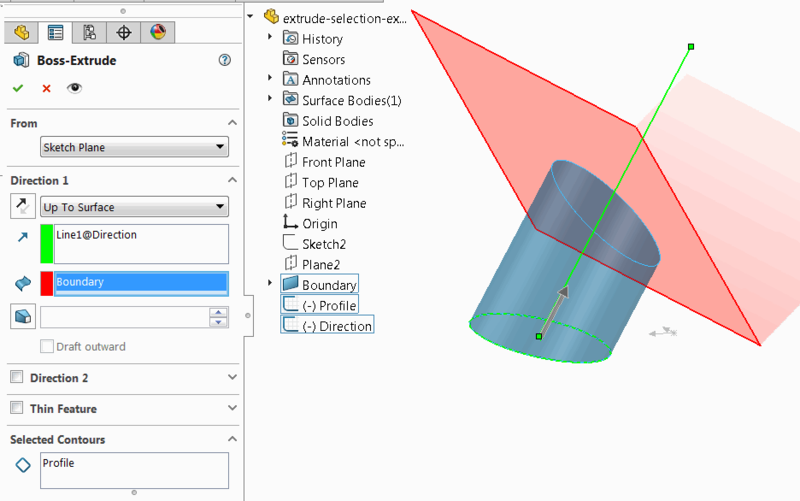 This example shows how to create extrude feature in SOLIDWORKS part by selecting the inputs for API purpose only (without graphics selection) preserving current user selections. As the result the extrude is created with the specified direction up to specified surface and all the original user selections are preserved. MsgBox "Please open the sample model"